A big part in maintaining a thriving lifestyle is taking care of the body. Eating healthy, adequate exercise, and regular visits to your dentist in Visalia are factors that should not be overlooked. Parents can play a vital role in training their children in these matters. Teach them about how to make good food choices, and the value of taking the time to eat healthy. Get the family involved in activities that are fun, draw the family closer together, and provide necessary physical exercise. Explain to young ones the importance of teeth, and why they need to be protected. Speak positively about the dentist, and set an example in diligent oral health care and regular dental visits. With sons of his own, Dr. Bodensteiner knows that all of this is easier said than done, but that the good results are well worth the effort. 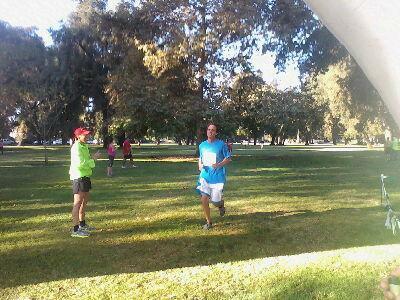 Just recently, he and his sons partook in the Harvest Run 5 km at Cutler Park. As a proud father, Dr. Bodensteiner is happy to announce that his son Oliver (12 years old) received the 2nd place medal for the under 19 category with a time of 21 minutes! We may not personally win medals for our daily food choices or exercise routines, but getting into good, healthy habits are invaluable all the same. For assistance in maintaining healthy teeth and gums, and in achieving a gorgeous smile that breeds confidence, we hope that you will consider the services of Dr. Bodensteiner, your top-quality dentist in Visalia. Contact us today to make an appointment.